How to check if this Android unit fit and work for your car? Firstly make sure your car has a working aux, secondly you can send car model, manufacture year and a dashboard picture for us to check for you. 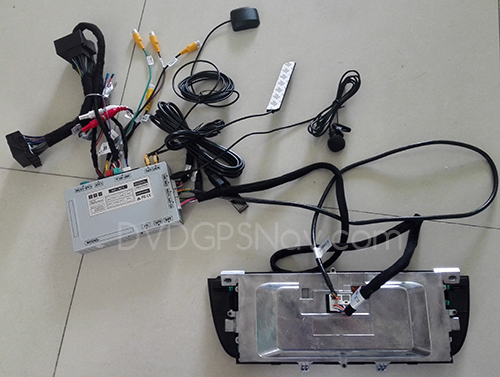 How to install this Android BMW F10 navigation head unit? Installation is quite easy if you follow below instructions. 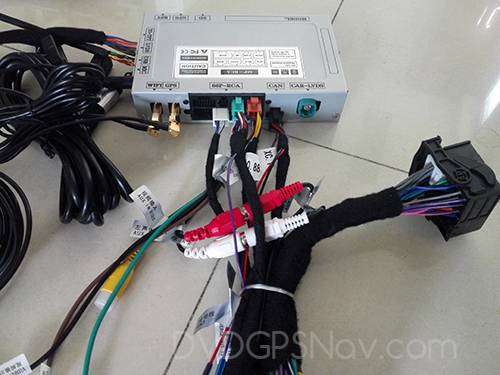 You should know that this new GPS unit just replaces the factory 6.5 inch small screen and is upgraded with 10.25 inch large screen, the original menus will also display on the new screen except the new menus. You can long press the “MENU” button from idrive controller to switch new menu and original menu, the original idrive control buttons can work the same as before. Firstly remove the original screen unit, unplug all cables behind. 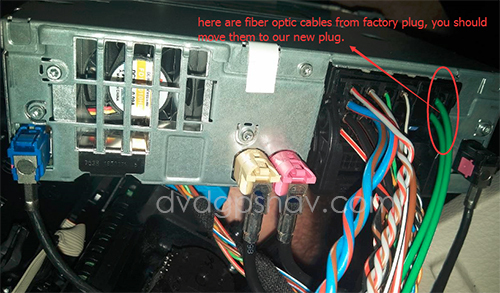 Note: for 2010, 2011 and 2012 year model BMW F10, which comes with 4 pins LVDS connector from the back of the original screen, we will send you the new head unit with the same 4 pins connector which matches the original LVDS plug. 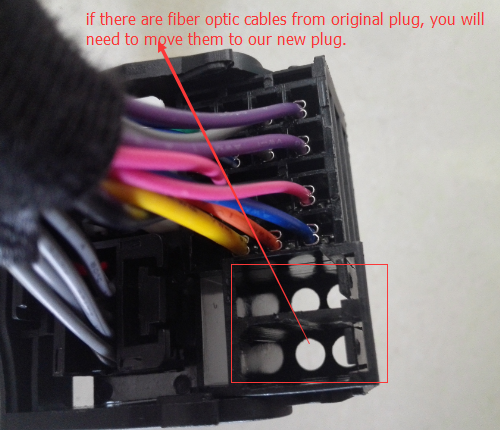 Plug B: this plug is used to get power for original screen, so this plug will be useless. 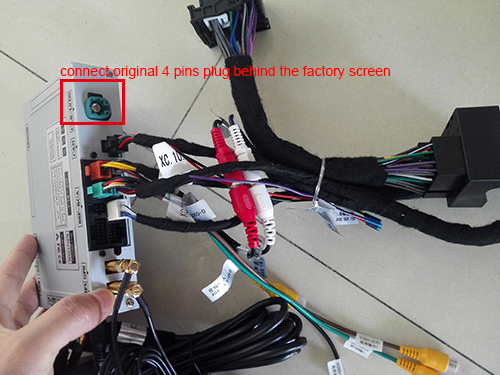 For 2013, 2014 and 2015 year BMW F10, it’s with 6 pins LVDS plug, so we will send you the one with 6 pins connector to match it. After you have removed the original screen, then detach the original radio/CD player, and pull out the plug behind, so you have got 2 plugs, one from the back of the original CD, the other plug from factory wiring harness which was connected to the back of the CD, these 2 plugs will be connected to the new plugs, so that the radio and CD can still work. 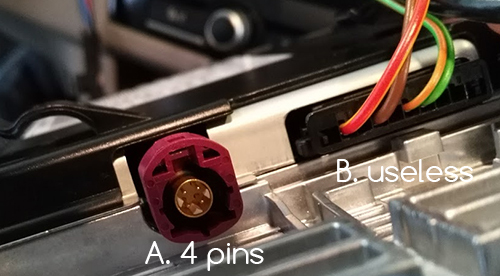 There’s a CAR-LVDS plug connected to the original 4 pins plug behind the original screen. 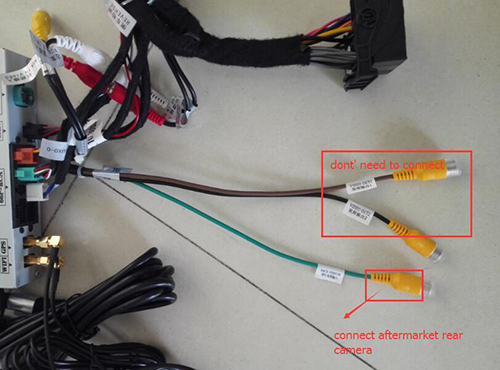 Purple wire with a label “REVERSE”, red wire with label “REVERSE OUT 12V”, black wire “GND”, you don’t need to connect these 3 wires, if you want to connect an aftermarket camera, just connect the green cable with yellow RCA connector(BACK-VIDEO-IN) with the camera video cable, our CAN-BUS system can detect rear view signal after you put in reverse gear. 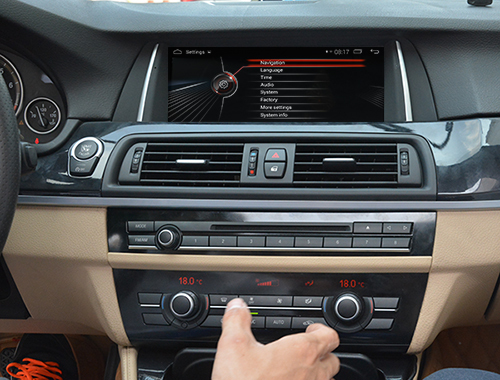 How does this Android head unit look like after installation in a BMW F10? If you still have a question during installing, welcome to contact us, our technicians are ready to assist you. Hello. I have a BMW f10 2010 520d. wanted to ask if you can answer a question. I have this androi mulltimedia you shows how to install. I have it on my BMW but for a few days ago so want it does not start is only in the orginala screen der with CD player, radio and settings the usual. I can’t get to Android menu. so do you know what I mean if so, what it may be wrong? Hi, you did not buy the unit from us, normally you should contact your seller for after-sales service. When the screen displays original menu, you can long-press the MENU button for about 3 seconds, then the screen will switch to new Android menu, if not, you can contact your seller to provide a software update. Hi does the 4.4 Android fit in my f10 2011? Hi, yes, it also fits your 2011 BMW f10. That’s not normal, the sound transfers to your car speakers through aux mode, you can firstly check if your factory aux works. The price can be seen on our site by clicking the link in this post, and you can check the shipping cost for your country after you add it to the cart on the shopping cart page. 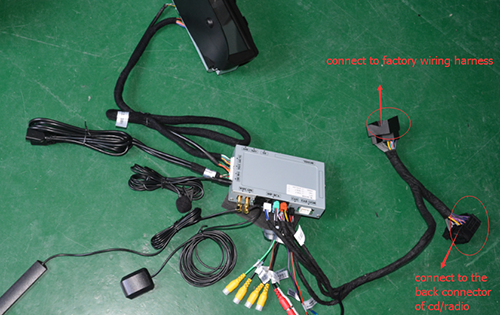 Yes, oem functions still work after intallation, you can check our trunk handle back up camera for bmw f10 which is installed in the trunk handle. I have bought a headunit, android for my BMW F11. I have allways thought my car was a 2013 model, but now I see that it was first in use 2012-12-15. So I now have the wrong headunit with cables. Is there a way to fix that? Or do I have to change it to a 2012 model? 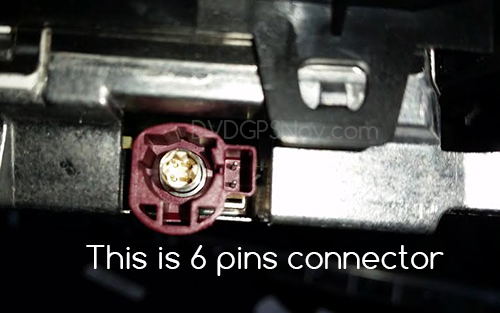 For a 2013 year model BMW F11, the LVDS plug is with 6 pins, you can check your LVDS plug to see if it matches the LVDS plug with your head unit. Yes, you can send a dashboard photo from your car for us to check further. and please confirm if your car has working aux function. Hi I have a 2011 Bmw 535xi. I’m about to order one of your head unit for my car and i need a backup camera as well. Do i need to get Additional Installation item for the Backup camera? 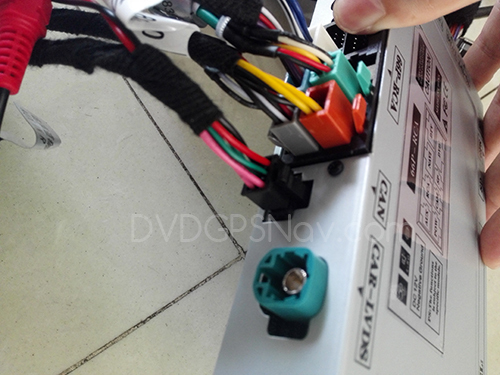 Hi, this unit already comes with RCA cable to connect an aftermarket backup camera. 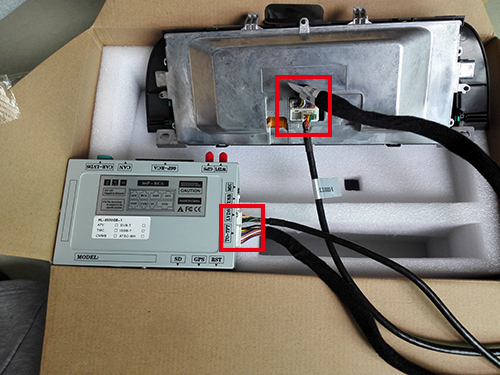 Normally you don’t need to add additional item for installation of the camera, in case the power to the camera is not stable, then you can add a relay to get stable power to the camera. Hİ, is there anybody to help how to update my adroid which is 4.4.2, in my 12-2012 (f10) 5.25 xd? New Android 7.1 OS is available, but the hardware also changed, so your Android 4.4.2 unit can not be upgraded with new Android 7.1 system. WIll this unit also fit in 730d (F01) model. 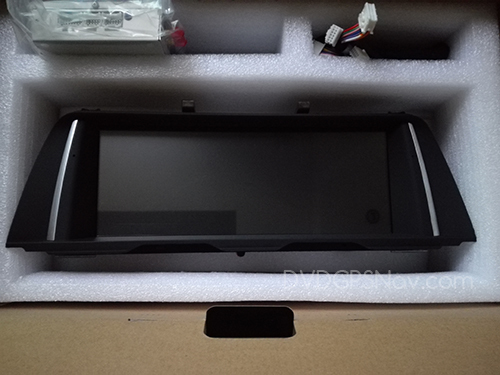 For bmw 730D f01 model, it should install another similar model, please contact us via email sales@dvdgpsnav.com and send a dashboard photo for us to check further.